Upon receiving your order, we ask that you unroll your Magic Mural to inspect it and read the enclosed installation instructions prior to installing it. If you receive one of our murals and wish to return it, we ask that you read the information below regarding our return policy before contacting us. You may contact us to request the return via e-mail at service@magicmurals.com or by phone at 1-877-448-7295 Monday - Friday, 9:00 am to 5:30 pm EST. If you contact us outside of our regular business hours, a Magic Mural’s representative will contact you by the next business day. If your order has been damaged while in transit, please contact us immediately for further instructions. 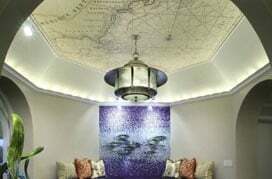 Standard Size wall murals may be returned for an exchange or refund prior to installing the mural. In order to receive a full refund, murals should be re-packaged in their original shipping tube/carton and returned to us in excellent condition with no visible damage within 60 days of the original order date. Once you contact us, we will assign a Return Authorization Number (RA #) for you to include with the package being returned. 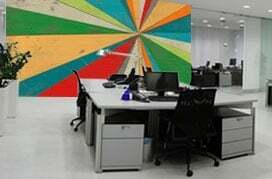 Custom Wall Murals: Should we receive an order with your custom image that is less than our minimum quality standard for image resolution, we will notify you immediately and prior to production. We will offer assistance to help you locate a higher resolution image or refund your order upon request. Once printed, custom photo mural orders cannot be returned for a refund. In addition, custom sized murals ordered from our image gallery to fit a specific wall dimension cannot be returned if ordered incorrectly. However, if we make a mistake and send the wrong size, we will gladly replace the mural for the correct size and ship it to you free of charge upon return receipt and inspection of the original mural. Selecting the Right Mural Material: Our mural materials work very well when ordered for the appropriate wall surface. Please be sure and read the Compare Materials information before choosing a material for your wall surface. If you are still unsure about the material, we recommend you contact us in advance to let us know about any special circumstances of the proposed mural application and condition of the wall surface. We cannot accept returns for orders if you choose the wrong material. However, we will work with you to determine an appropriate solution. Again, please contact us in advance for recommendations if you have any questions about our materials or your wall surface. We highly recommend reading the installation instructions prior to installing your new wall mural. Murals that have been installed cannot be returned.